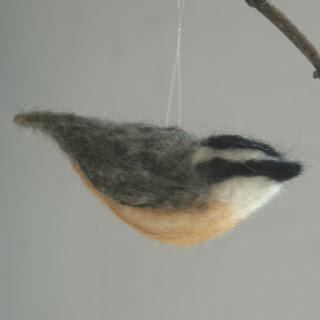 I have a nuthatch pair that lives (if not in) near my yard. They are about the size of chickadees, and just as curious. It's always so funny to see them bouncing down the trunk of a tree head-first. Here's their song. I'm off to the Audubon Earth Fair in Glastonbury tomorrow, and I'm looking forward to a gorgeous day in the sun, a beautiful start to my outdoor season. Sunday's Earthstock has been postponed due to the forecast rain till May 2, one week later.